I am definitely excited! Apart from being the festive holiday that we all enjoy celebrating with our love ones, it's also the time of the year where we embrace the spirit of giving and sharing! As they always say, no one has ever become poor from giving. Christmas is about bring joy and happiness to others! But the most common issue that all of us will face during this season, is where we do not know what gifts and presents to get for our friends and family! We cannot deny that buying gifts is such a headache at times, isn't it! And during this period, all the shopping malls will usually be flooded and packed with people even up till Christmas eve itself as people do their last minute shopping for Christmas presents. 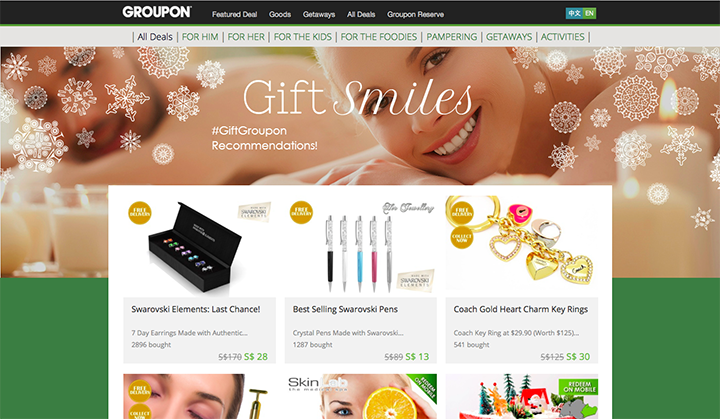 I would really love to avoid the crazy shopping crowd, and for those who are having headache and still lacking of ideas what to get for your love ones this year, how about thinking out of the box and get some inspiring ideas from Groupon? Who knows you might be able to get the perfect Christmas gift or even find out fun things to do with your friends or family this holiday season over there! And you can do your Christmas shopping at anytime and anywhere! To be honest, I've never shopped on Groupon for Christmas gift before although I did shopped there on normal days, so this time round I'm going to try to shop there and see what I can get! Time to pamper ourselves and the people around us! I'm browsing all the great gift ideas at specials.groupon.sg and after awhile, I've managed to find some great deals that I think I'm going to purchase for myself, and my family and friends! Let me show you guys what I've gotten! Well, I guess getting food as a gift will never go wrong! Who doesn't love to eat right?! One of the great idea that I have for those who do not know what tangible present to buy, you can always treat your friends and family for a Christmas dinner! 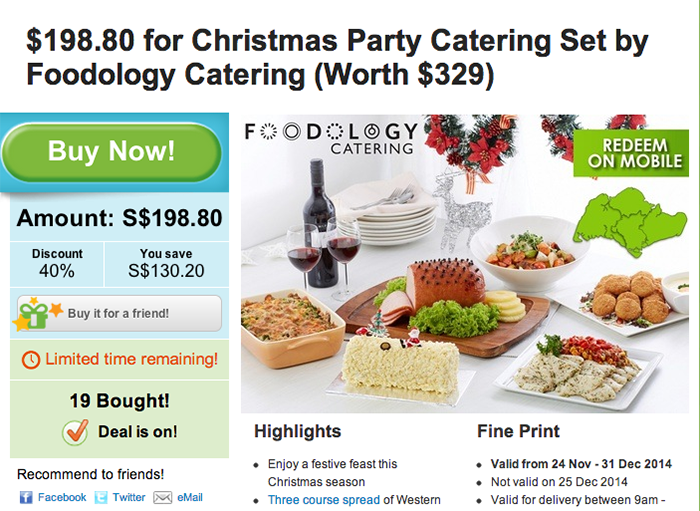 There are tons of great deals over at Groupon for that and I'm sure it will also serve as a great gathering too! The next deal that I bought is this 100 mins Spa Indulgence in Mandarin Gallery! This will serve as a really great gifts for your parents or friends who have been working so hard all the while for this whole year! It's definitely a great time for them to pamper, enjoy and relax themselves! I wanna bring my parents there too! I think I couldn't resist getting all the delicious food deals! 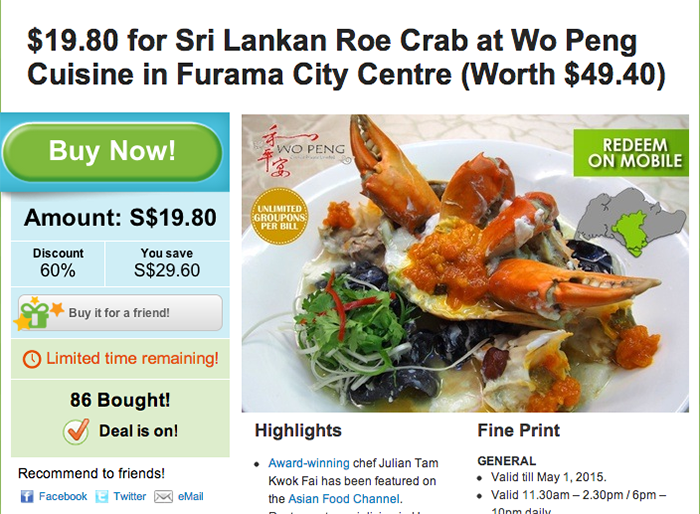 I love eating crab and can anyone tell me that how delicious looking this Sri Lankan Roe Crab looks! I'm so getting it! Not just one but TWO, because I'm be sending one as gift! Yes, when you think that the gift really suits your love ones and you wanna give them a surprise and buy them as presents, you can actually #giftgroupon to them and surprise them when they received and open up their mailbox! After you send the gift to them, they will get the voucher and they can use it whenever they want! I hope she do give me a call to go eat together after she see this though, so we can get to eat 2 huge crab together hahahaha! 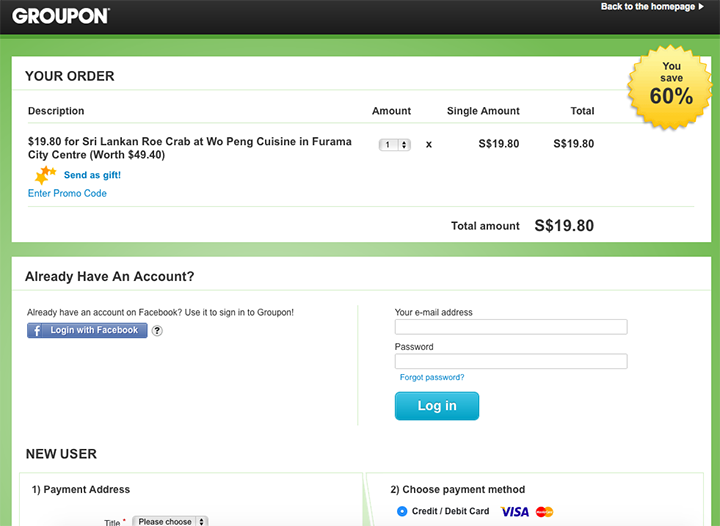 Shopping at Groupon is really easy too! It just takes a few clicks to buy the deals that you want! 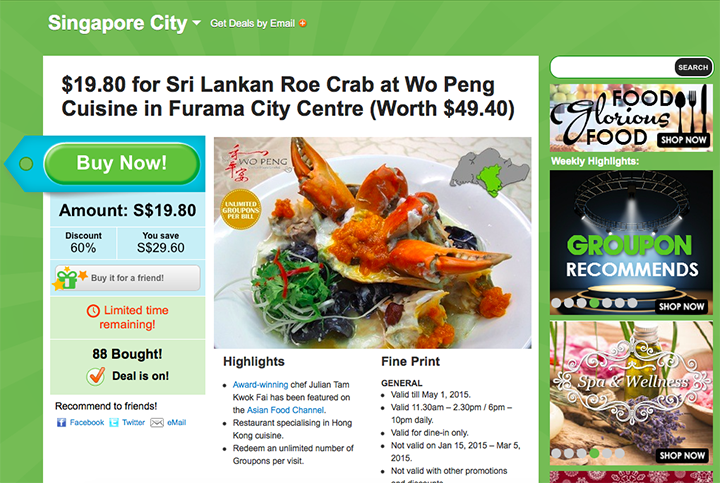 First, just browse through the huge selection of deals at Groupon! Saw something you want to buy? Click on it and "Buy Now"! Because you never know when it is going to be sold out! 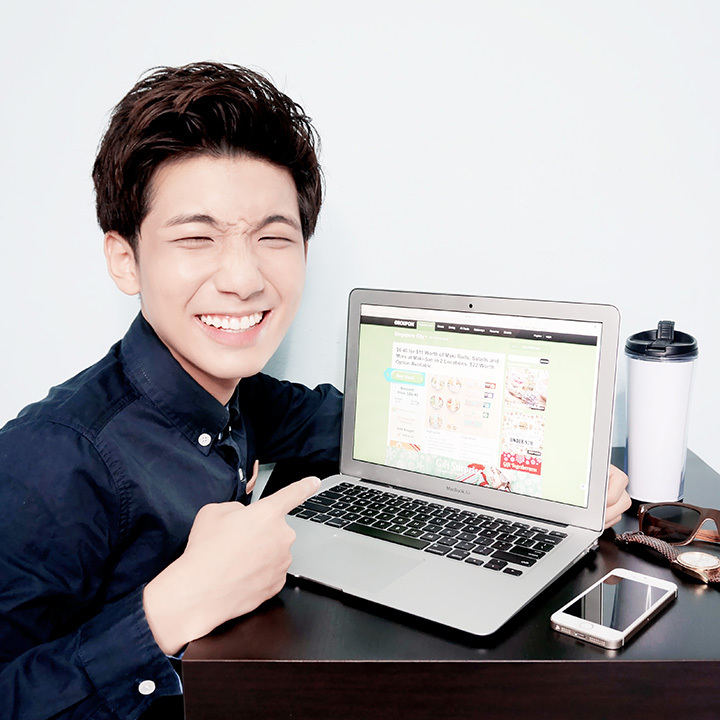 Create an account if you do not have it yet, if you do, just sign in! 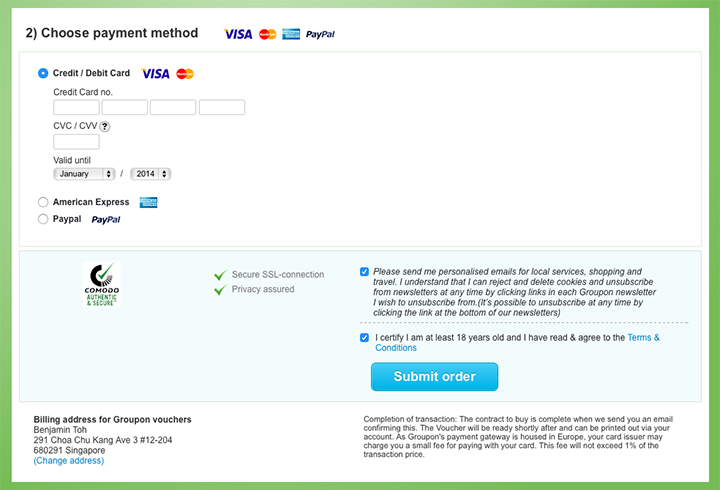 Then you make the payment and the voucher will then be credited to your account and also your email too! Omg it's so amazing shopping at Groupon! I believe I still can buy even more because it is so simple to purchase gifts there and it is pretty much a one stop shop for Christmas shopping for me (and I'm sure it will be for you guys too)! 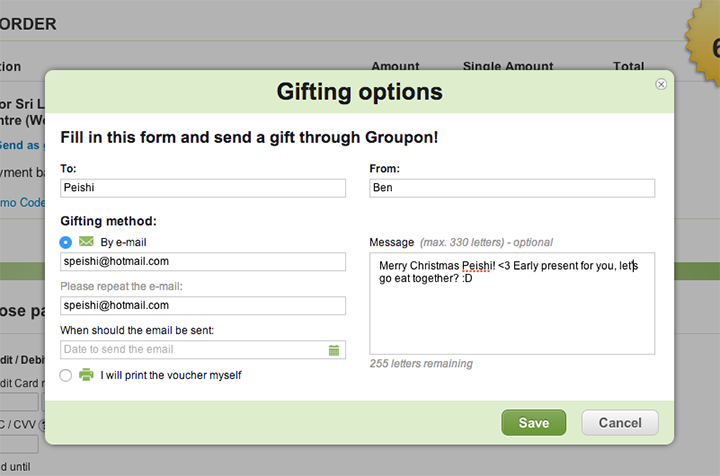 I think for this year, I'll really just buy gifts from Groupon and send it to all my friends to surprise them! Bet they don't expect it! 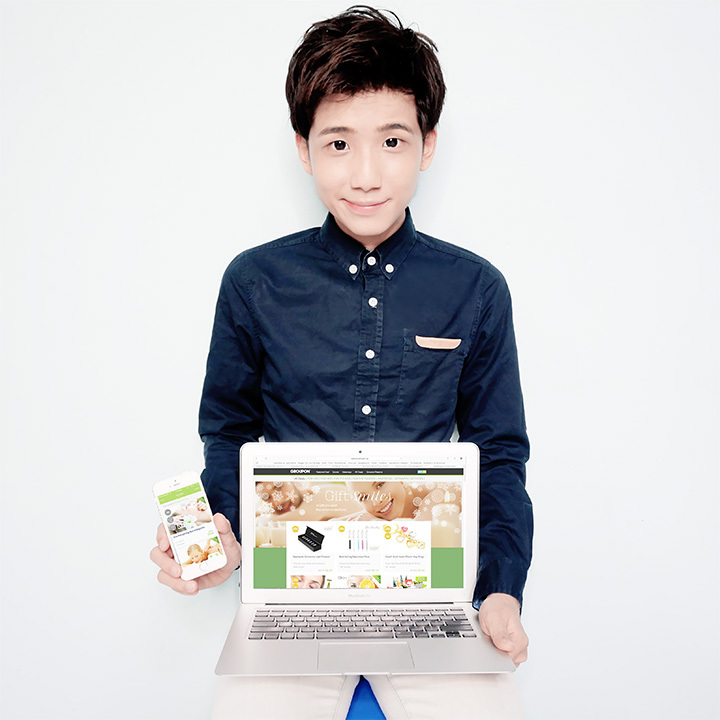 Shopping for Christmas gifts become so much easier now at specials.groupon.sg and what's better is that, we can also buy gifts on the go with Groupon’s award-winning mobile app as well! I really love the app and I have it on my phone all the while as I'll always check out all the great deals from them! Buying gifts on the go can save so much time too! 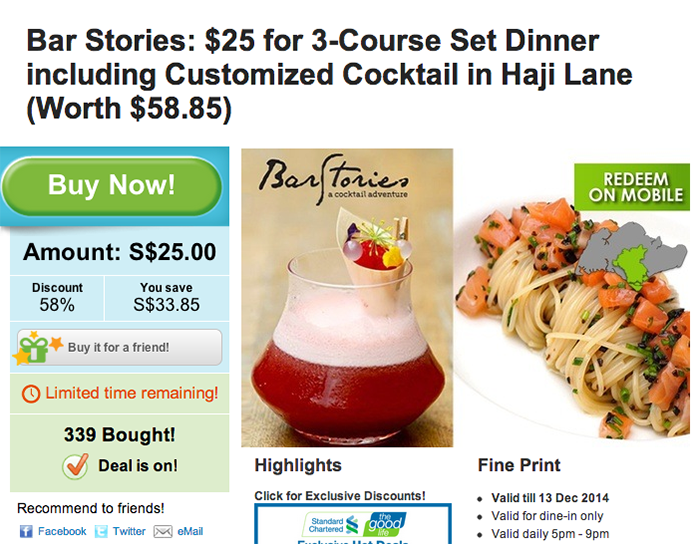 Start your Christmas shopping at specials.groupon.sg today! Have fun!